It all may have happened long ago in a galaxy far, far away but George Lucas drew much of his inspiration for Star Wars from our own history. Stories from Ancient Egypt and Rome run parallel to the rise and fall of characters such as Queen Amidala and Emperor Palpatine. Pirates and profiteers rewrote the histories of Southeast Asia in the 1600s in similar fashions to the swashbuckling of Han Solo and the power-hungry Trade Federation. If you know what to look for, you can see echoes of World War II and the Vietnam War on the screen when the Rebel Alliance battles the overwhelming Empire, because George Lucas modeled these characters---and the plot twists and turns they go through---on the peoples and events of our own history. You don't have to be a Jedi mind-reader to pull out these lessons from ages past. George Lucas generously shared his inspirations and insights with a dozen historians who built on these leads to craft the gripping chapters in Star Wars and History. Lucas worked with us in developing each chapter, read and commented on each draft, and confirmed what his historical inspirations were in each case. The book draws from both history and film to trace out grand themes of state-building and destruction set against humble stories of traders and farmers. Star Wars unfolds personal histories that relate to historical reality, such as the friendly rivalry linking Han Solo to the former owner of the Millennium Falcon, Lando Calrissian, or the darker story of Darth Vader's bond to his master, Emperor Palpatine. There are venerable institutions such as the Jedi Order that parallel historical traditions from medieval China, Europe and Japan. Jabba the Hutt's criminal outpost on Tatooine flourished on the fringes of power in the same way that unsavory traders ruled the ports of the South China Sea in the sixteenth and seventeenth century. Best of all? The historical lessons which George Lucas incorporated into Star Wars serve as an engaging and painless way to learn more about our own past. So if you want to understand more about the past, why not tune into stories out of the Star Wars galaxy? Here are some simple history lessons that you can learn from Star Wars. Princess Leia and the Alliance didn’t just oppose Emperor Palpatine on general principles. Their rebellion aimed to restore the Republic that Palpatine had dismantled a generation earlier. 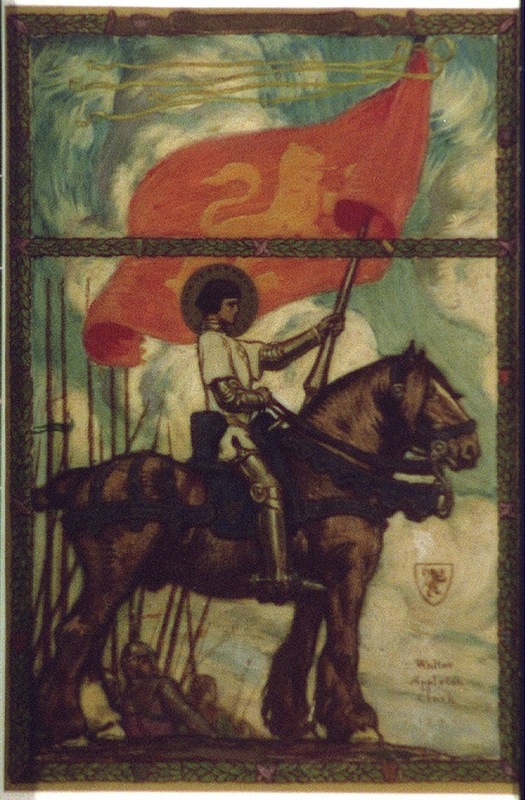 Joan of Arc’s rebellion against the English takeover of France in the early fifteenth century was another uprising seeking to restore the old order. Henry VI’s rule in France wasn’t as despotic as the Emperor’s dark regime: but Frenchmen and women saw the English as foreign occupiers in their kingdom. Joan dreamed of restoring the French monarchy: it was a dream so compelling that an ordinary farmgirl would put aside her quiet life in the country to don a warrior’s armor and fight for France. When she raised the siege at Orléans, her legend grew and England soon was on the defensive. Similarly, Leia’s role in defeating the Death Star both raised her profile and benefited the Alliance. Leaders may come and go but causes last: Joan was captured and executed in 1431. Twenty-two years later, her vision became reality with the final French victory at Castillon. Joan and Leia were both important but, in the end, the causes were bigger than they were.